Investigated the transcriptional and translational features and limitations of human uricase (UOX). Became proficient in PCR techniques, gel electrophoresis and extraction, primer design, bacterial and human cell line growth, transfection, protein assays, and other common wet lab techniques. Received a SURE Fellowship from Emory University for Summer 2011. Research resulted in publication (Kratzer et al. 2014). A two week-long research simulation at the Utah MDRS. On site, I conducted extremophile research, small molecule research, as well as investigated habitable zones by soil analysis. Investigated the thermogenic capabilities of alternative oxidase (AOX) in bacteria in response to a cold shock. Analytical techniques include bacterial cell plating and culture, PCR, purification and ligation techniques, primer design, sequencing, synthetic bacterial design and “construction” using the BioBricks format, gel eletrophoresis, and in vivo heat characterization. The team won the Silver Prize at the international competition held at Massachusetts Institute of Technology. Conducted research on plausible prebiotic chemical pathways using formamide and mineral catalysts. Analytical techniques employed include GC-MS, HPLC, UV-VIS, NMR. Assisted in lab protocol development for local high schools through the GIFT program. Received Presidential Undergraduate Research Award (PURA). Research resulted in publication (Anumukonda et al 2011). Jones, MK, Grau, KR, Costantini, V, Kolawole, AO, de Graaf, M, Freiden, P, Graves, CL, Koopmans, M, Wallet, SM, Tibbetts, SA, Schultz-Cherry, S, Wobus, CE, Vinje, J, Karst, SM. Human Norovirus Culture in B Cells. Nature Protocols. 2015 Dec;10(12):1939-47. doi: 10.1038/nprot.2015.121. link. Featured on Science Daily. Delitto, D, Perez C, Han, S, Gonzalo, DH, Pham, K, Knowlton, AE, Graves, CL, Behrns, KE, Moldawer, LL, Thomas RM, Liu C, George TJ, Trevino, JG, Wallet, SM, Hughes, SJ. Downstream mediators of the intratumoral interferon response suppress antitumor immunity, induce gemcitabine resistance and associate with poor survival in pancreatic cancer. Cancer Immunol Immunother. 2015 Dec;64(12):1553-63. doi: 10.1007/s00262-015-1760-y. Epub 2015 Sep 30. link. Valladeres, R, Graves, CL, Wright, K, Gardner, C, Wallet, SM, Lorca, GL, Gonzalez, CF. H2O2Production Rate in Lactobacillus johnsonii is Modulated Via the Interplay of a Heterodimeric Flacin Oxidoreductase with a Soluble 28 Kd PAS Domain Containing Protein. Front. Microbiol. 2015 July 14. July 14;6:716. PMID:26236298. link. Jones, MK, Watanbe, M, Zhu, S, Graves, CL, Keyes, LR, Grau, KR, Gonzalez-Hernandez, MB, Iovine, NM, Wobus, CE, Vinje, J, Tibbetts, SA, Wallet, SM, Karst, SM. Enteric bacteria promote human and mouse norovirus infection of B cells. Science. 2014 Nov. 7. PMID: 25378626. link. National Geographic feature by Carl Zimmer (link). Featured on TWiV (link). Kratzer, JT, Lanaspa, MA, Murphy, MN, Cicerchi, C, Graves, CL, Tipton, PA, Ortlund, EA, and Johnson, RJ. Evolutionary History and Metabolic Insights of Ancient Mammalian Uricases. Proc Natl Acad Sci. 2014. March 11:111(10):3763-8 PMID: 24550457. link. National Geographic Feature by Ed Yong (link). Graves, CL, Lapato, M, Li, J, Knowlton, A, Wallet, MA, Wallet SM. Altered mucosal homeostasis and intestinal epithelial cell dysfunction in human type 1 diabetes. Submitted. Graves, CL. Retraction of Paper “Confirming” Narcolepsy as an Autoimmune Disease. AutoimmunePatient.com Blog. 30 July 2014. Graves, CL. Paleo Narco: Applying “Paleo” Principles to Narcolepsy. Paleo Movement Magazine. 17 Oct. 2014. Graves, CL. Recent Science Headlines Relevant to Ancestral Health. Paleo Movement Magazine. 6 June 2014. Graves, CL. 19 Gluten Cross-Reactive Foods – Busted Myth? Paleo Movement Magazine. 9 May. 2014. Graves, CL. Interesting Science Updates. Paleo Movement Magazine. 14 Feb. 2014. Graves, CL. 2013 Paleo Year in Review. Paleo Movement Magazine. 3 Jan. 2014. Graves, CL. Important Ancestral Health Advances of 2013. Paleo Movement Magazine. 3 Jan. 2014. Graves, CL. Interview with Joe Salama about the Ancestral Food Summit. Paleo Movement Magazine. 6 Dec. 2013. Graves, CL. 2013 Ancestral Health Symposium Conference Recap. Paleo Movement Magazine. 22 Aug. 2013. Graves, CL, and Gina Singh. Advocating for Your Narcoleptic Child: Tips for Success. The Network: Fourth Quarter. 2012. Graves, CL. Sleepy Shots: Flu Vaccine and Childhood Narcolepsy. The Network: Fourth Quarter. 2012. Graves, CL. Question and Answer Session with a University Learning Specialist. The Network. Second Quarter. 2012. Graves, CL. and Ashley Starr. How to Deal with College like a Narcolepsy Advocate All-Star. The Network. Second Quarter. 2012. Graves, CL, Lapato, M, Li, J, Shapiro, M, Wallet MA, Glover, S, Wallet, SM. TLR5-Mediated Intestinal Epithelial Cell Dysfunction I Type 1 Diabetes. Graduate Student Research Day. University of Florida. Gainesvile, FL. October, 2015. Wallet, SM, Hulme, MA, Nelson, MR, Graves, CL, Sorenson, HL, Brusko, T. Altered Gastrointestinal Environment and Immune Cellular Plasticity During Disease Progression of Type 1 Diabetes. Abstract 91; 65.14 (MUC2P.931). Immunology 2015. New Orleans, LA. 9 May 2015. Graves, CL, Lapato M, Wallet, SM. Intestinal Epithelial Cell Mediated Miscommunication in Type 1 Diabetes: A Tipping Point for Disease? Abstract pg. 91; 65.16 (MUC2P.933). Immunology New Orleans, LA. 9 May 2015. Harden, SW, Graves, CL, Wallet, SM, Frazier, CJ. Oxytocin Receptor Activation Depolarizes Spiny Hilar Interneurons and Induces GABA Release in the Dentate Gyrus of the Rat Hippocampus. UF Brain Awareness Week Symposium. 20 March 2015. Duque Rosas, S, Bainbridge, B, Knowlton, A, Graves, C, Wallet, SM, Davey, M. L-Arginine Affects Adherence of Pyphoramonas gingivalis to Oral Epithelial Cells. Abstract number S1585. International Association for Dental Research (IADR) General Session. Boston, MA. 12 March 2015. Graves, CL, Lapato M, Wallet, MA, Wallet, SM. Environment-Host Miscommunication at the Intestinal Epithelial Interface in Type-1 Diabetes: ­A Tipping Point for Disease? JDRF nPOD Annual Scientific Symposium. St. Petersburg, FL. February 2015. Graves, CL. Gluten Free PWN: Improving Narcolepsy Symptoms Using Dietary Strategies. Narcolepsy Network 29th Annual Conference. Denver, CO. 19 Oct 2014. *invited oral presentation. Graves, CL, Lapato, M, Wallet, SM. 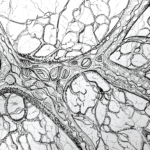 Intestinal Epithelial Cell Dysfunction in Type 1 Diabetes. University of Colorado, Anschutz Medical Campus. Denver, CO. 20 Oct 2014. Graves, CL, LaPato, M, Wallet, SM. 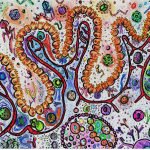 Environment-Host Miscommunication at the Intestinal Epithelial Interface in Type 1 Diabetes- A Tipping Point for Disease? Graduate Student Research Day. Abstract pg. 39. University of Florida. Gainesville, FL. Oct 2014. Graves, CL, LaPato, M, Wallet, SM. Environment-Host Miscommunication at the Intestinal Epithelial Interface in Type 1 Diabetes- A Tipping Point for Disease? Joint meeting of the Society for Leukocyte Biology and the International Endotoxin and Innate Immune Society. JLB Supplement 2014. Page S38 Abstract #71. Salt Lake City, Utah. Oct 2014. Graves, CL and Wallet, SM. Intestinal Epithelial Cells in T1D. UF College of Dentistry Research Day. Gainesville, FL. May 2013. *poster presentation.